Gentrifiers Are Trying To Create A Remixed Version Of A Slave Code In D.C. The BBQ Beckys and Permit Pattys of D.C. will be delirious with joy. Of course, our music—whether it’s the blues or hip-hop—has always been labeled as savage or dangerous. And now, in 2018, white people in Washington, D.C. are still literally trying to control Black music and sound. This reeks of slave codes or Jim Crow laws, because it is finding a way to lock people up for minor crimes, even when they are in their own home. 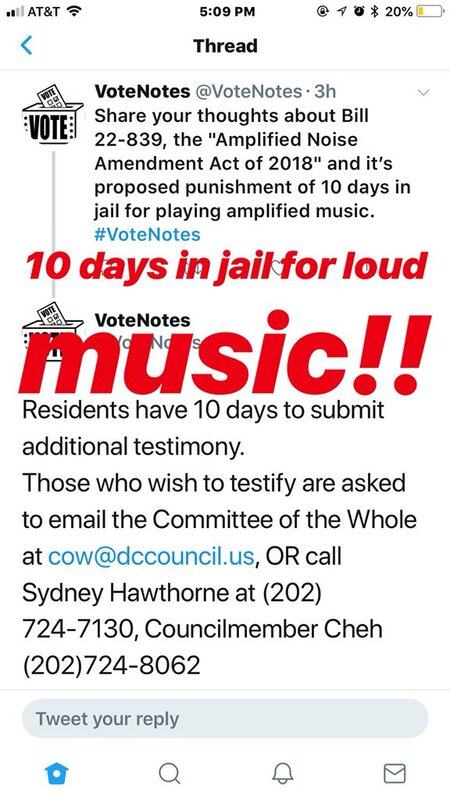 Obviously, no one would be arrested for blasting Coldplay or Frank Sintara, but if delicate white ears hear Kendrick Lamar or Fela Kuti, “lock them up!” If white people don’t want to hear anything, then they should move to a rural area where the next house is miles away. If this law passes, the BBQ Beckys and Permit Pattys of D.C. will be delirious with joy. What is most disappointing is that D.C. was once known as “Chocolate City.” Now, D.C. is 43.6% white and many of them are wiping away culture and attempting to create laws and policies that take control from Black and Brown people — all with the goal to eventually push them out of their neighborhoods.